It is unusual for a community our size to have a radio station. The vision for local radio began in 2001, when a group of community members asked the Crystal Mountain Center for the Performing Arts (dba WCPA) to sponsor an application to the FCC for a new Low Power FM (LPFM) license. 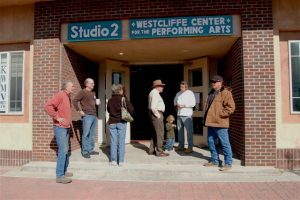 The Custer County Sheriff’s office provided land for the broadcast tower adjacent to the Search and Rescue building, studio space was located in the WCPA’s Studio Two facility next to the Jones theater and $10,000 was raised locally. In 2003, radio in the Wet Mountain Valley was assigned the call letters KWMV. Station representatives attended the National Federation of Community Broadcasters conference and came home with a lot of ideas as well as a better sense of the challenges that lay ahead. Local donations totaling $70,000 were collected to build a tower and purchase equipment. Community engineers and other volunteers worked together and the tower was completed in September. Music fans from around the Valley shared their personal collections to stock the station music library with classical, jazz, folk, bluegrass and country selections. In May of 2004, KWMV 95.9 FM hit the airways, providing the valley with 24/7 programming that included locally produced music shows as well as nationally syndicated music and information programming. In May of 2004, www.kwmv.org debuted and KWMV hosted its first political debate featuring candidates for County Commissioner. 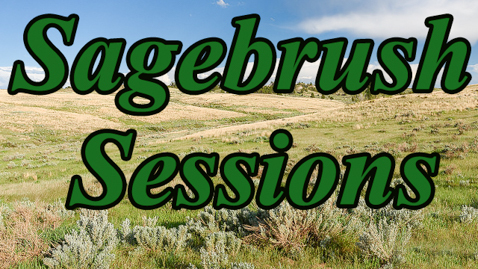 In January 2005 a new partnership was formed with the Wet Mountain Tribune to produce the Community Calendar which began airing three times per day, informing the community of upcoming Valley non profit events and governmental meetings. Feature Story News (FSN) was added to the weekday schedule, airing on the hour. 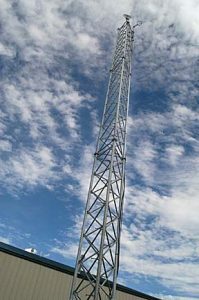 In August 2006, $10,000 worth of new FM antennas were donated to improve KWMV’s broadcast. Later that year a new weekly local news and information program called A Peek in The Valley was launched. Celtic & Beyond began in 2007 and is still featured in the weekly lineup. That is also the year KWMV went online with streaming, archived programs and more with a website created by Bob Thomason along with additional web traffic from Thomason’s popular Custer Guide website. The station hosted its first Open House in October, 2007 to introduce the community to the behind the scenes workings of the station. 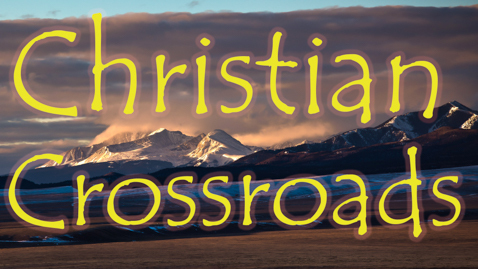 Mountain Messages, a show produced by the West Custer County Library also began airing that fall. More opportunities became available for volunteer producers and DJs to begin training. Two new local shows debuted in April 2008. Words on The Wind, produced by the West Custer County Library and High Country News and Tips, produced in partnership with High Country Recycling. Also in April 2008, KWMV published its first Quarterly Newsletter. Dozens of people participated in a KWMV Yoga workshop fundraiser held that summer. Custer County Youth Radio classes got underway in August for students at Custer County High School. Also, the popular valley web cam made its first appearance on www.kwmv.org. In 2009, visitors to www.kwmv.org were greeted by a new streaming web page. 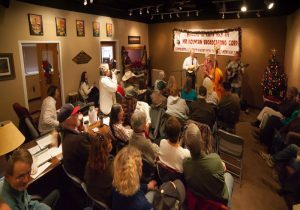 In the spring, Wet Mountain Valley Music Roundup joined the weekly schedule, showcasing only Wet Mountain Valley musicians. Later that year Music Your Way was launched, giving local folks a chance to try being a deejay by hosting an hour of their favorite tunes. 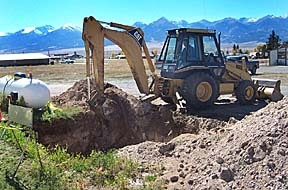 Valley Lives and Legends, a local history show sponsored by Friends of Beckwith Ranch had its first broadcast in August, 2009. This year KWMV joined Facebook and Twitter to help keep the community better informed about station activities. At the end of the year, KWMV surveyed community members to assist in determining music and other programming changes in the future. In January 2010, KWMV began broadcasting Colorado News and Notes seven days a week featuring stories from the Valley and around Colorado. This was also the year that founder Lou Kravitz stepped down from the Board and was appointed Chairman Emeritus. Two new annual fundraising events were introduced. A Taste of The Valley brought together wine experts and great chefs for a dinner and wine tasting event that immediately became one of the area’s great annual summer events. The High Peaks Music Festival, held at The Feed Store Amphitheater featured Colorado artists during a day long event. During 2011, the Music Your Way program ramped up, with local hosts for three hours of classical music. By the end of the year, 24 different DJs had hosted a variety of MYW shows. This participation spurred two new spin off shows during the year. Fridays at The Coffeehouse and Sunday Classics made their debut. Listeners were updated multiple times daily during the Duckett Fire. KWMV DJs began blogging about some of their favorite music on the new KWMV Music Blog. The station’s operating software was updated to an ENCO system in 2012. This expensive upgrade expanded broadcast reliability and functionality. For the first time, local music programming was featured seven days a week. Management began considering moving operations out of the Jones Theater to a larger location that would enable the station to do a better job serving the community. In 2013, the search for a new space ended as a lease was signed for a new studio location in the Porth Building on 2nd Street. A huge volunteer effort was mounted to remodel the space and construct much needed operations facilities. The annual High Peaks Music Festival launched a new event, an invitation only gathering the evening before the show held at the home of Garett Carlson that featured food, wine and live music. Music Your Way generated another spin off show with the introduction of the Friday Afternoon Club. The station nominated Bob Thomason in the National Federation of Community Broadcasters’ search for Volunteer of the Year in recognition of Bob’s continuing service and leadership. The annual Winter Open House in December served as a Grand Opening, welcoming the community to the newly opened facility on 2nd Street that featured a broadcast studio, production studio, and main space large enough to host live music. More new shows began in 2014. The locally produced Health Matters series debuted, a cooperative effort of the station and Custer County Health. 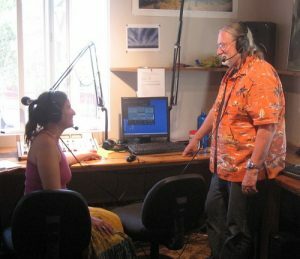 In music programming, the Mountain Express appeared on Wednesday mornings and for the first time, Blues got its own time slot on local airwaves with the 2nd St. Blues show on Thursday afternoons and Saturday evenings. In 2014, Wet Mountain Broadcasting, a 501(c)3 created in 2009, began negotiations for a new full power license to serve the Wet Mountain Valley. Engineering and legal issues were addressed to achieve the goal of beginning a full power broadcast in 2015 as KLZR 91.7 FM. A newly installed automated Emergency Alert System (EAS) came on line in the beginning of 2015. An FCC Construction Permit was filed and hardware purchases made in preparation for the KLZR full power rollout later in the year. Thirty DJs attended a training program held at the station. Live music programming got another boost with two new shows, Rockin’ The Range on Wednesday mornings and 2nd Street Blues on Thursday afternoons. Valley listeners heard daily reports from on the road with Ride The Rockies bicycle tour and plus live updates and interviews broadcast from the finish line. In September, KLZR 91.7 FM made it’s full power (6000 watt) debut in the valley with much celebration. Valley listeners also bade farewell to KWMV as the WCPA decided to let the LP station go silent. The Friday evening event kicking off the High Peaks Music Festival began at Cliff’s Edge and then moved to the Jones Theater for the live music performances. By the end of the year, the KLZR music library had grown to over 40,000 songs. Several new shows were created in 2016 to spotlight local voices on the KLZR airwaves. Valley Views provided insight into local issues, events and people through conversations with public officials, community leaders, artists and other interesting folks. Another locally produced show, Wet Mountain Valley Dry Goods showcased stories of area residents from the past and present. Local youth got behind the mic during Teen Takeover once a month. Volunteers revitalized and expanded Words on The Wind, KLZR’s showcase for local wordsmiths including poets, authors and playwrights. Old Time Radio joined the weekly schedule featuring a wide array of radio dramas. KLZR volunteers also provided emergency updates on the air and online during the Hayden Pass and Junkins Fires. KLZR added co-sponsorship of the free Summer in the Park Concert Series at The Feed Store Amphitheater to it’s lineup of events. Volunteer organizers created a new volunteer handbook for the station. 2017 got off to a great start for KLZR with $17,900. 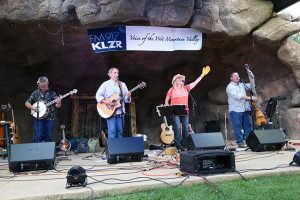 coming in from the Wet Mountain Valley Community Foundation Spirit Campaign, placing KLZR among the top recipients of the annual fundraiser and showing the community’s growing support for it’s local radio station. 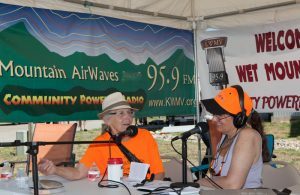 In June, KLZR hosted the first annual Rock ‘N Soul Jam with four bands, lots of dancing and plenty of fun, as well as a hot air balloon glow.KLZR volunteers also began cleaning litter up along three one mile stretches of highway coming into town, working to keep the Valley beautiful for everyone. The station was also pleased to welcome it’s first intern from Custer County High School. The contingent of local DJs continued to grow and a KLZR volunteer contributed to Rocky Mountain Community Radio news reports heard around the state by recording the thoughts of area residents. It was the year that the station met one of it’s biggest challenges when founder and long time invaluable volunteer Bob Thomason retired. New volunteers stepped up to fill the many vital roles Bob performed at the station. A beautiful new website debuted in 2018, a result of many hours of work by a special committee in cooperation with a contract web developer. A printed pocket sized guide was created to introduce people to the station and to the updated program schedule. Music Your Way was moved to a 4 to 6 pm slot on Tuesday, Wednesday and Thursday after an audience survey showed this to be a preferred time to listen. The second annual Rock ‘N Soul Jam and the 11th annual Taste of the Valley sold out at their new locations. KLZR’s emergency broadcast team volunteers were once again called into service, providing regular over the air and online updates during the nearby Adobe Fire and massive Spring Creek Fire.